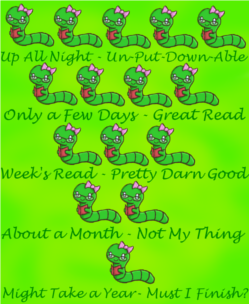 Welcome to Brandee's Bookish Babble. 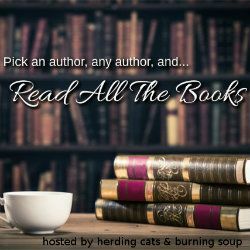 There are many, many similar posts to this one - but basically I wanted a place to discuss bookish and/or blogging stuff and I needed a title. :) I hope you enjoy! 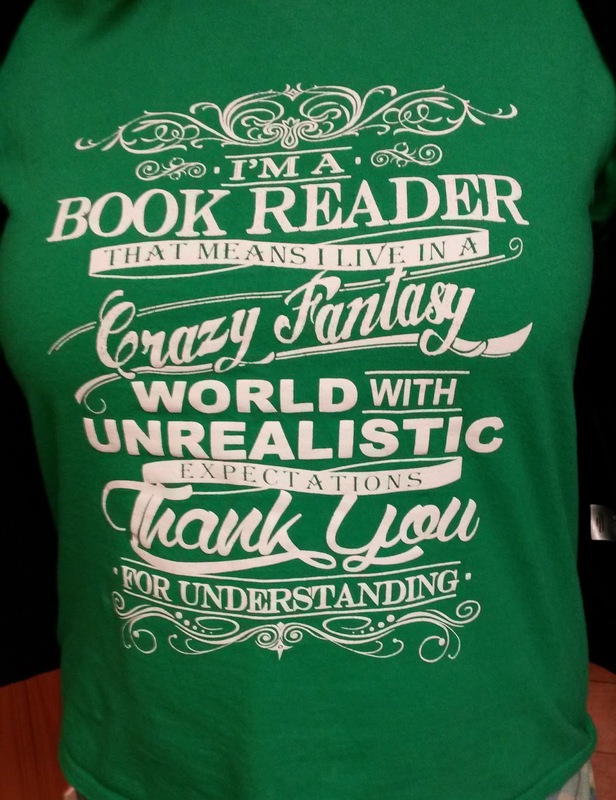 And yesterday, while checking out at the grocery store, the sacker saw my shirt and told me how much she loved it...how it'd be perfect for her since she'd spent her lunch reading Fragile Eternity. I told her that I'd loved that book. And then the checker, who happened to be the sacker's sister, chimed in about how she couldn't believe I knew the series. Then our conversation began in earnest. 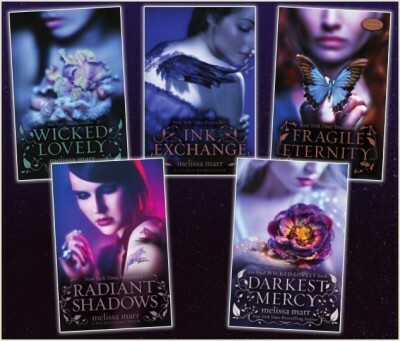 We three chatted about how we were originally drawn to the series because the covers are AMAZING. And then we talked about how Marr did such an incredible job with the fae world, world building in general, character development. We also discussed our favorite characters and other books from Marr. And all because of a t-shirt! Have y'all had any interesting conversations sparked by something as simple as a t-shirt? 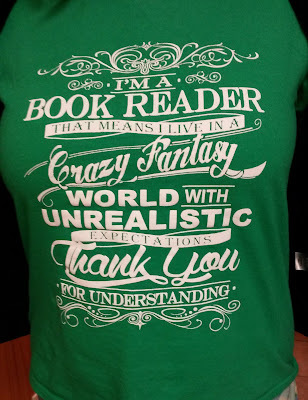 Do y'all have any bookish-themed t-shirts? Now you know what I think...what are your thoughts?? Share book reviews and ratings with Brandee, and even join a book club on Goodreads. Header BG © Vladstudio. All content 2011-2017 © bookwormbrandee. Awesome Inc. theme. Theme images by mammuth. Powered by Blogger.